Cozy 3 bed, 1.5 bath home with brand new carpet, tile, vinyl, crown molding and cabinets! Roof and HVAC were replaced in 2014, AC in 2013 and some of the sewer was replaced around 2015-2016. Most of the garage was converted into a second living space, perfect for a family room (not included in the sqft), the remaining space can be used as a storage room. There are 2 outbuildings in backyard ideal for extra storage. 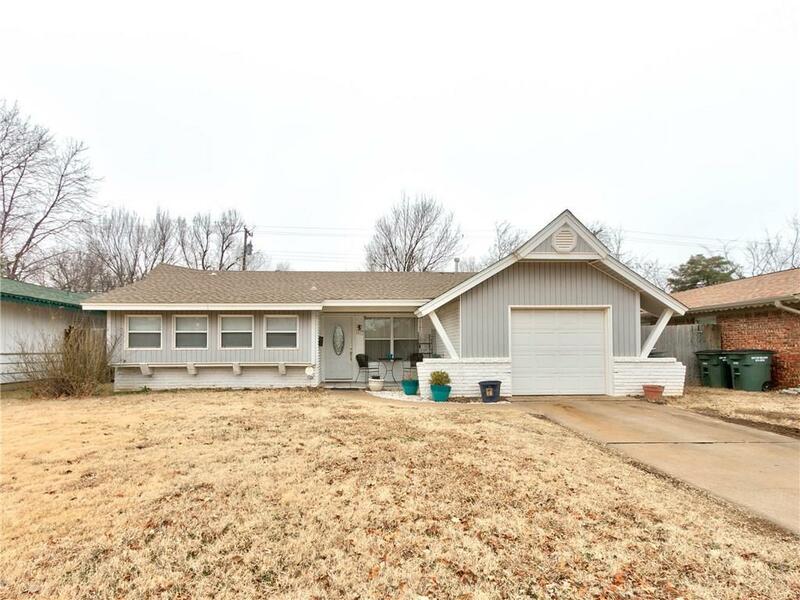 Home is conveniently located near schools, shopping, restaurants and Tinker AFB. Seller is offering a 12 month home warranty to any buyer. Set up your private showing now!